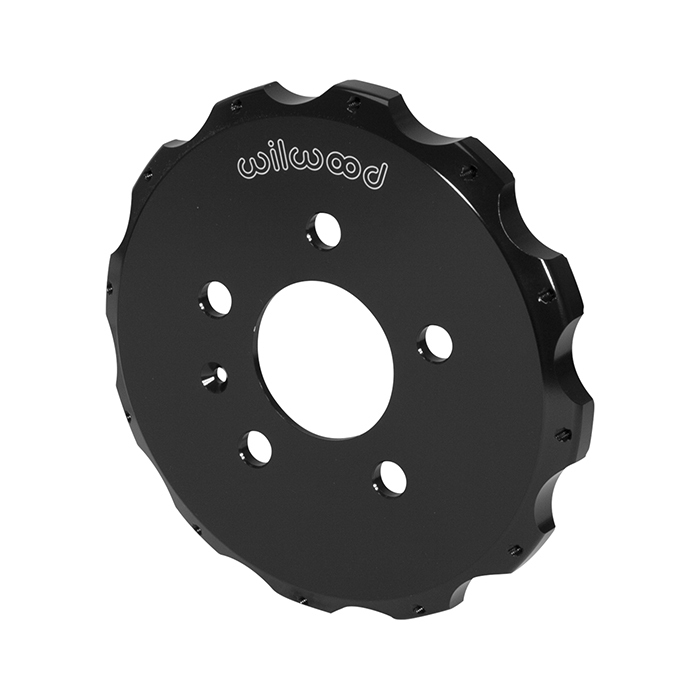 Wilwood's Rotor Mounting Hats have been precision machined from high strength, lightweight aluminum alloy. 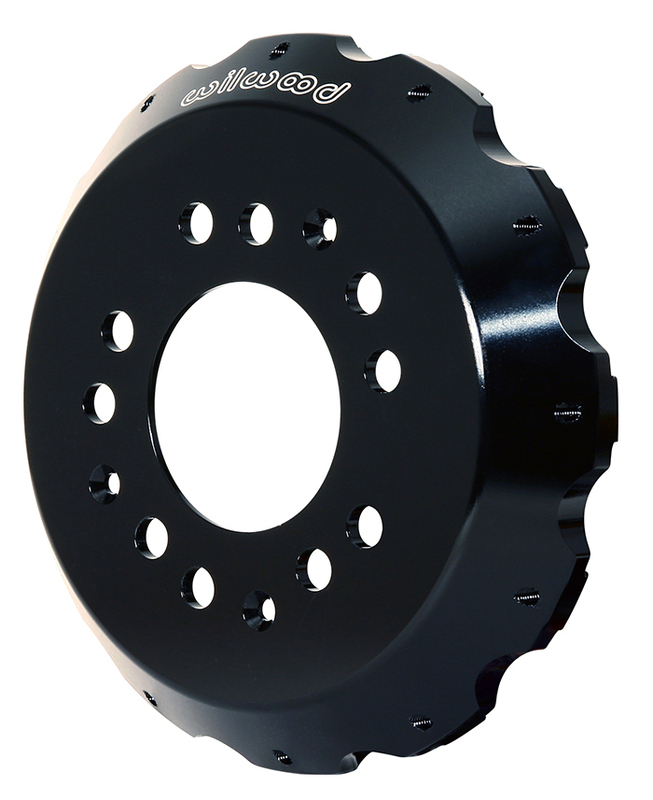 We offer a wide range of offsets and wheel stud patterns for Drag Race, Street Rod, Pro Series, Stock Car, Modified, Off Road, Open Wheel and Rally. All are designed to provide maximum weight savings and durability. 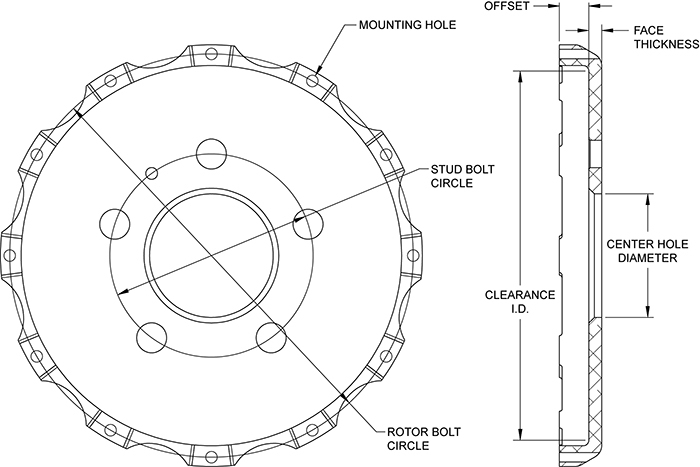 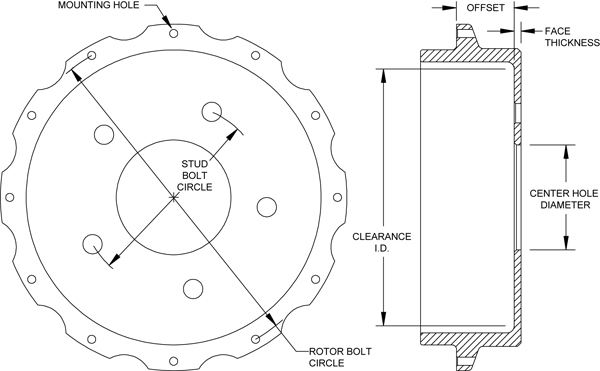 Many are available unmachined to accommodate custom stud bolt circle applications. GT Series Big Brake Flared Bell hats are precision machined from premium aluminum alloys for high strength and attention to minimized weight. 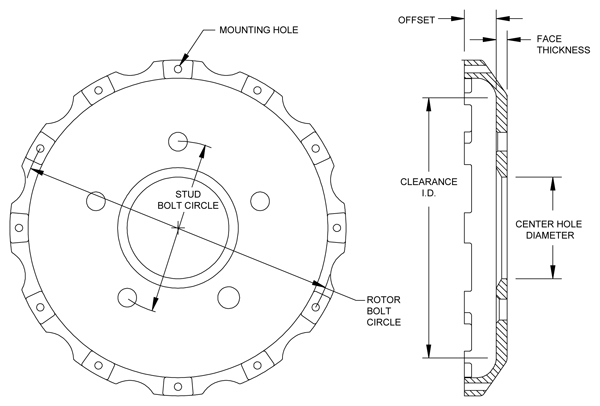 Hats in this category feature threaded rotor mount holes for use with standard through-hole mount rotors. 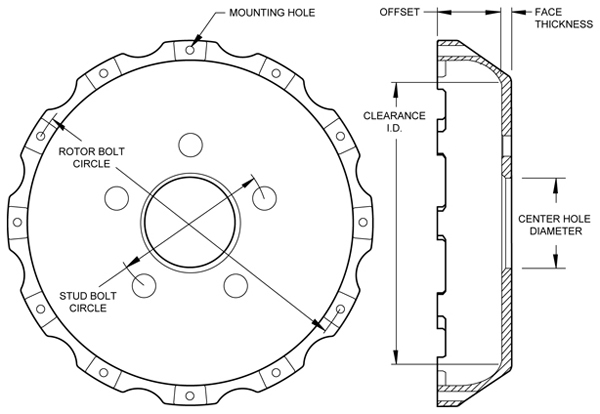 Threaded hole hats may also be used with T-Nuts or bobbins designed for use with specially machined slotted hole dynamic mount rotors. When used in conjunction with matched Wilwood rotor hardware kits, GT hats provide solid, reliable performance in the most demanding conditions.Flared Bell Hats are generally used with rotor mount bolt circles of 8.38" and larger. 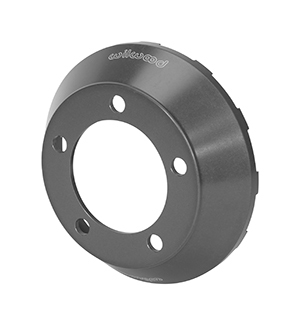 Offsets range from 1.88" to 3.00" for rotor diameters 12.19" and up. 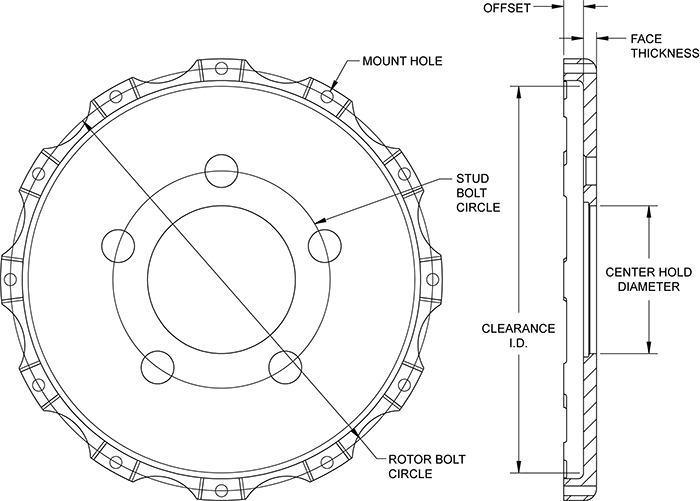 Wheel mounting pad must not be larger than 6.00" to fit into inset area of this hat. GT Series Dynamic Mount Rotor Drag Hats are engineered to withstand the rigors and demands of extreme motorsports competition. 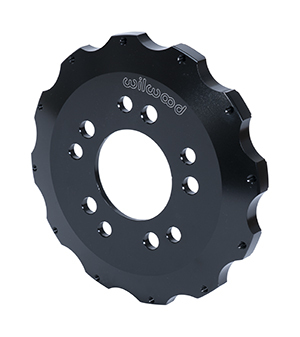 Each hat is precision machined from premium grade aluminum offering high strength with low unsprung and rotating weight. Wilwood T-nuts float within the hat and provide true dynamic mounting of a standard through-hole mount rotors in 8 x 7.00" rotor mount patterns. . 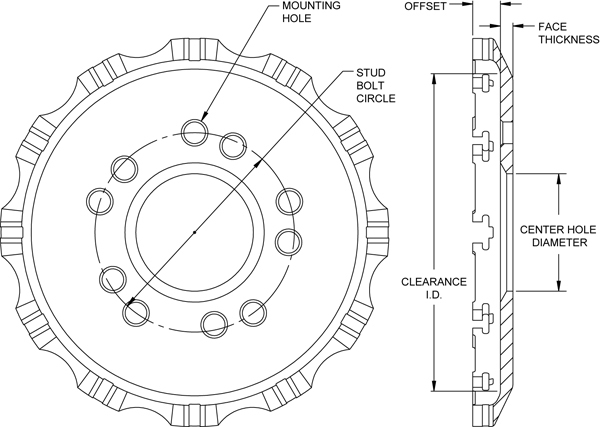 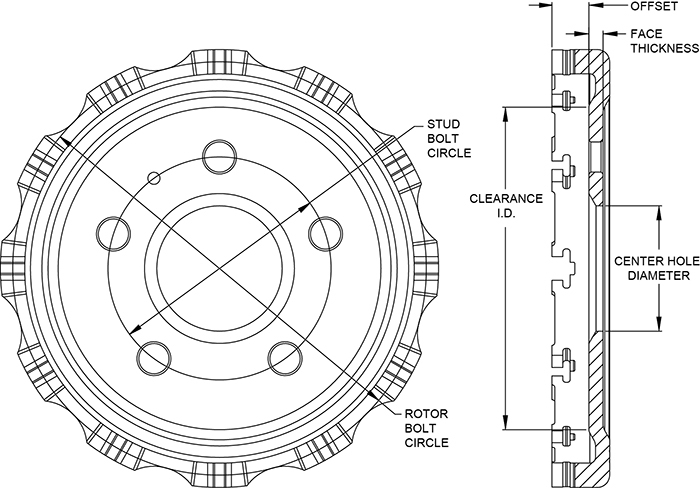 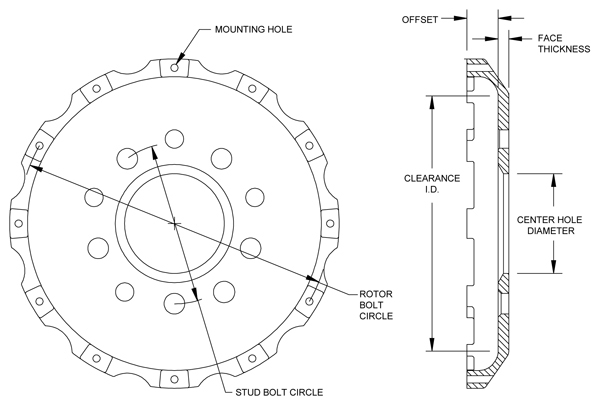 The wide load bearing load surface of the T-nut and the straight through-hole mount rotors provide the most durable and accurate method of isolating potential pad engagement harmonics and the in-service thermal variations that occur between the hat and the rotor. 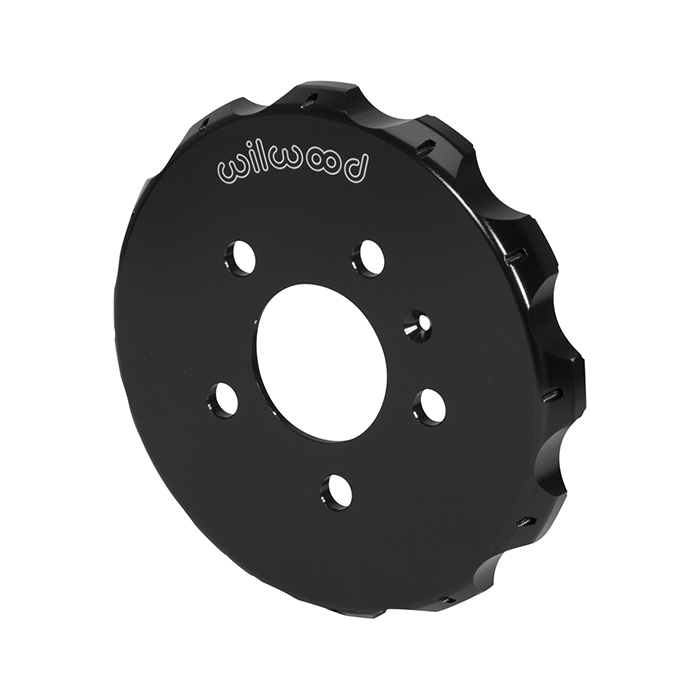 GT Series Dynamic Mount Rotor Hats are engineered to withstand the rigors and demands of extreme motorsports competition. 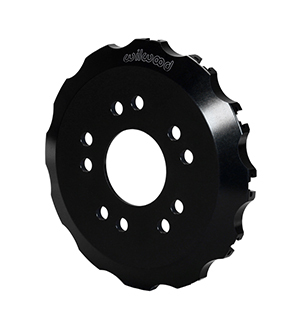 Each hat is precision machined from premium grade aluminum offering high strength with low unsprung and rotating weight. 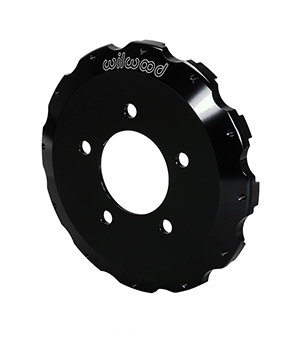 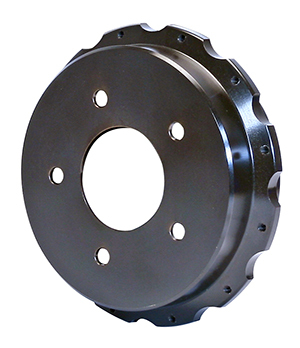 Wilwood T-nuts float within the hat and provide true dynamic mounting of a standard through-hole mount rotor. 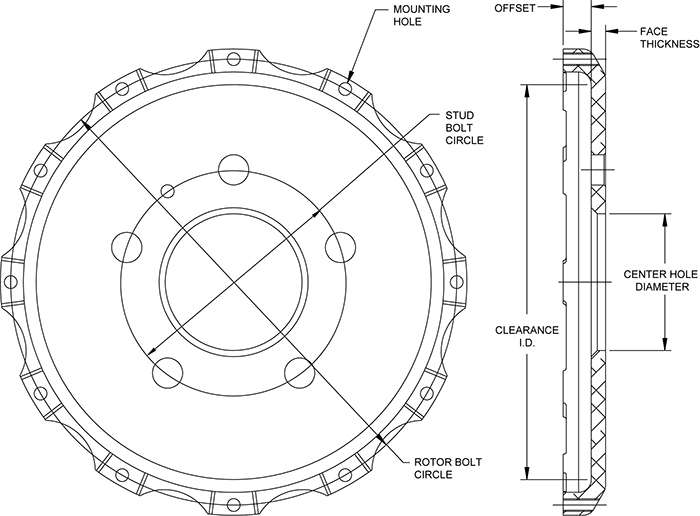 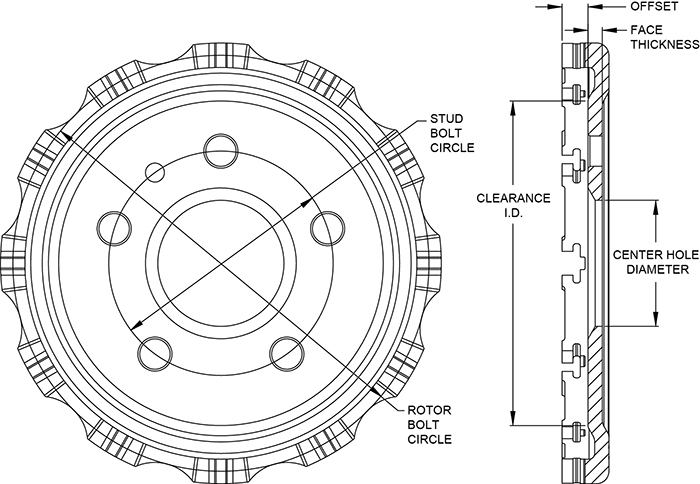 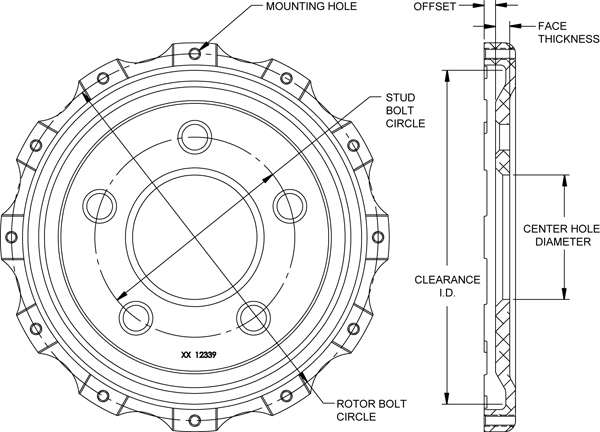 The wide load bearing load surface of the T-nut and the straight through-hole mount rotors provide the most durable and accurate method of isolating potential pad engagement harmonics and the in-service thermal variations that occur between the hat and the rotor. 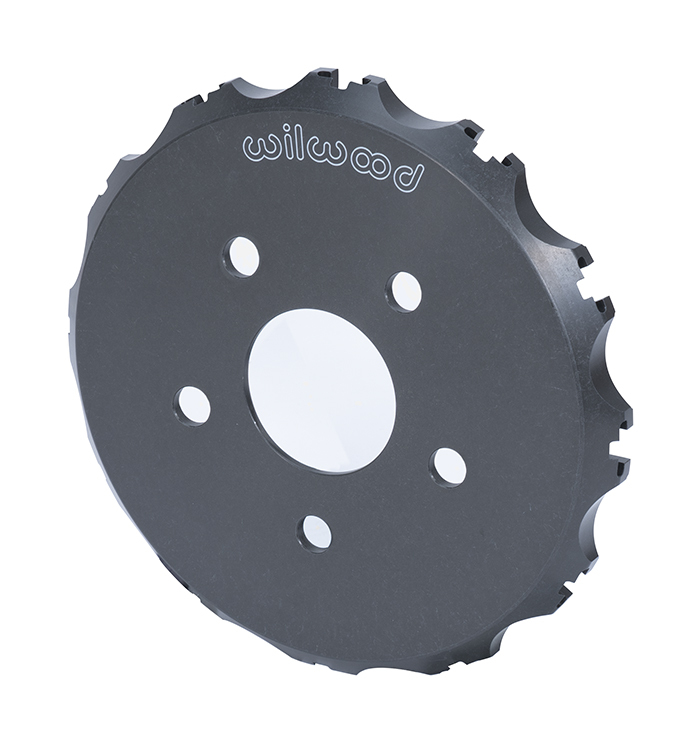 3.06" diameter register with counterbore for register ring. 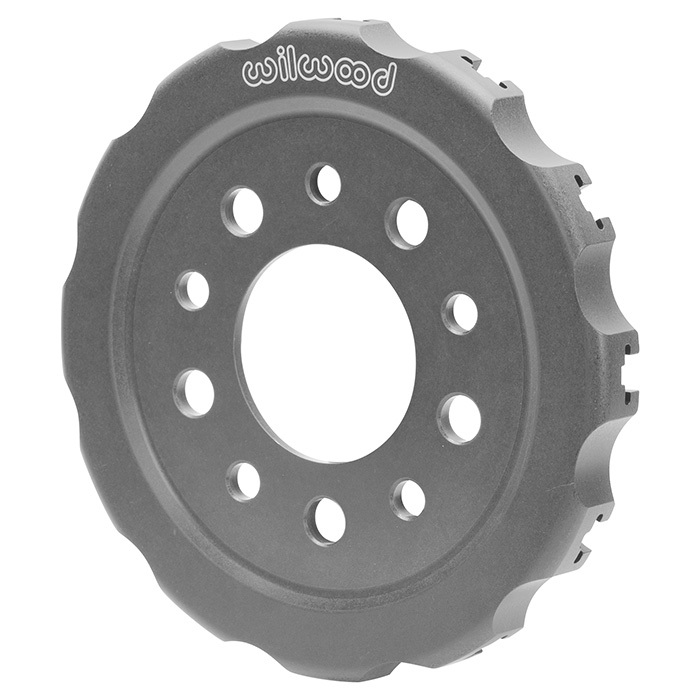 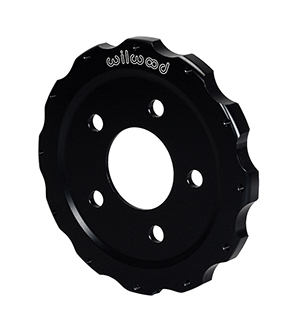 These premium grade cast iron hats are used with Wilwood's internal shoe parking brake kits. Each hat is a precision machined, threaded hole design for use in conjunction with through-hole mount rotors. 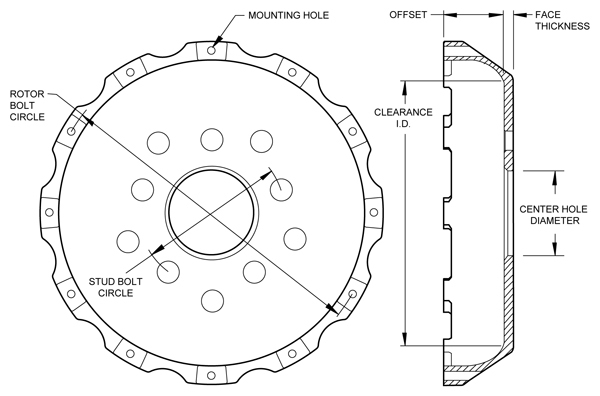 After machining, the hats are electro-coated for corrosion resistance.